This essay was written in late November 2010 for The Common Review, whose editor commissioned it, but was subsequently and recently withdrawn from that magazine once it became clear that the editor wasn’t giving me any straight or candid answers about whether or when he would publish it. Which is why I’m publishing it here. I’ve only updated it slightly to incorporate the recent distressing news about the government’s sentencing of Jafar Panahi. And more recently, thanks to Danny Postel, this article has been reposted here, at Tehran Bureau. — J.R. Written in 2010 for Criterion’s DVD and Blu-Ray. This is the second of my essays about Terry Zwigoff’s documentary; for the first one, written 15 years earlier, go here. 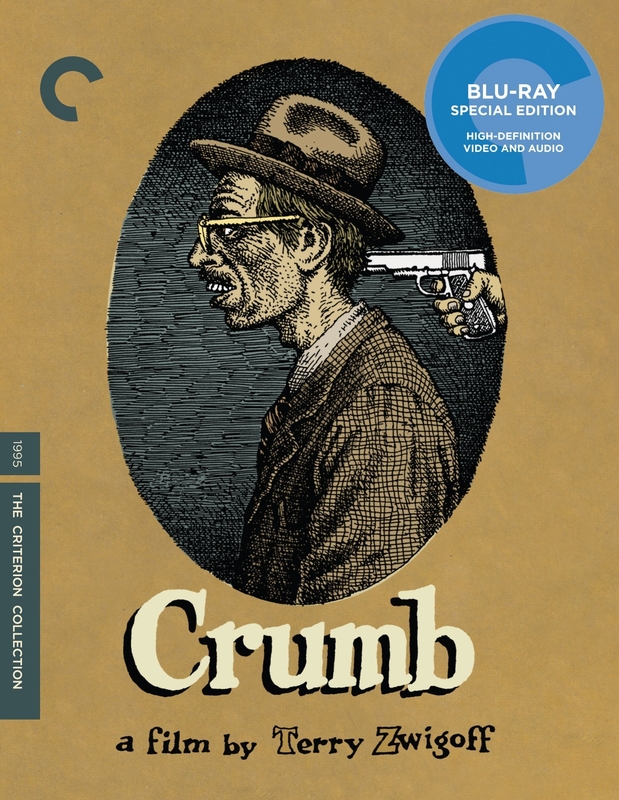 — J.R.
Now that Terry Zwigoff’s Crumb is about fifteen years old, it seems pretty safe to say that it has evolved from being a potential classic to actually becoming one. But what kind? 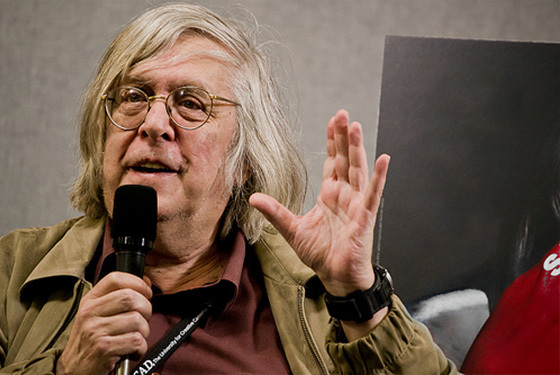 A documentary portrait of a comic-book artist, musician, and nerdy outsider? A personal film essay? A cultural study? An account of family dysfunction and sexual obsession? Or maybe just a meditation on what it means to be an American male artist — specifically, one so traumatized by his adolescence that he has never found a way of fully growing past it. It is not unrealistic to believe that a country as wealthy as the US should be able to provide healthcare for all, a dignified life for its elderly, an infant mortality rate better than Cuba’s, a life expectancy higher than Bosnia’s, a foreign policy that does not hinge on military aggression, and an economy where fewer than one in seven live in poverty. What is unrealistic is to believe that any of those things can be achieved, or even seriously tackled, with just a single vote. Republicans will head to the polls to elect people who will actually cut jobs and support bankers. Democrats may well stay at home because their candidate has not made things better, and in so doing make things worse. Neither disaffection nor rage are electoral strategies. But in the absence of an alternative, frustration has political consequences. Commissioned by Criterion’s The Current, and published there on October 26, 2010. — J.R.
For many decades now, William Faulkner’s Light in August (1932) and Carl Dreyer’s Gertrud (1964) have been major touchstones for me—not only separately but also in some mysterious relation to each other. I even managed to find a way of discussing these two works together over the first four paragraphs of my first book, Moving Places: A Life at the Movies (I also published a lengthy essay about Gertrud, in which I make glancing reference to the novel). The fact that Dreyer once expressed some interest in adapting Faulkner’s Light in August — an interest he shared with Luis Buñuel (and with actors Zachary Scott and Ruth Ford, a couple who once actually held the film rights) — was part of the inspiration and pretext for my musings about Dreyer and Faulkner, but for me the affinities run much deeper. From the October 2010 Sight and Sound. I regret a few errors that crept into this piece as originally published, all of which were my own fault and all of which are corrected here. — J.R. In the interests of full disclosure, I should mention at the outset that Françoise Romand has been a good friend for over two decades. But I hasten to add that she became a friend because of my immoderate enthusiasm for Mix-Up (1985), her first film — one of the strangest as well as strongest documentaries that I know. To make matters even more mixed-up, I should also point out that, on the region-free DVD bonus of this hour-long French documentary in English, Françoise, after interviewing herself in French, shows her filming of my talking head in English while I attempt to explain why I find her film so powerful and exciting. What follows represents another try. A Brighter Summer Day was inspired by a true incident, a touchstone from Yang’s youth: the killing of a 14-year-old girl by a male high school student in Taipei on June 15, 1961. Yang frames the film with recitations over the radio of the names of students graduating from the same school in 1960 and ’61. The title comes from the lyrics of the Elvis Presley song “Are You Lonesome Tonight?”, phonetically transcribed by the hero’s sister so that a younger friend, Cat, can learn to sing them.